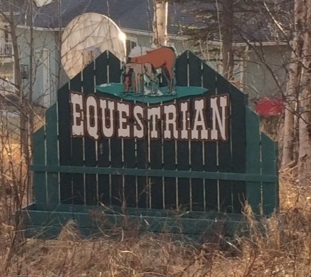 Equestrian Acres is a mature neighborhood close to Palmer. The large lots and tree growth give the illusion of country living. Most of the neighborhood outlets are to the Palmer-Wasilla Highway and just 3 miles from down-town Palmer. Equestrian Acres homes have a reputation of holding their value over time because of the strong neighborhood. This is a very attractive neighborhood. From the back side of Equestrian Acres you have quick access to trails and mountains good for all outdoor activities. You can sneak through some back roads out to Palmer-Fishhook Road and then to Hatcher Pass. Give us a call if you would be interested in finding a home in Equestrian Acres give us a call! Or if you own a home there and would like to know it’s value just drop us an email or call, we would love to help you.